It’s an interruption of light. That’s all it is. But it fascinates me — visually, conceptually, artistically, emotionally. Most photographers look for good light; I look for good shadow. 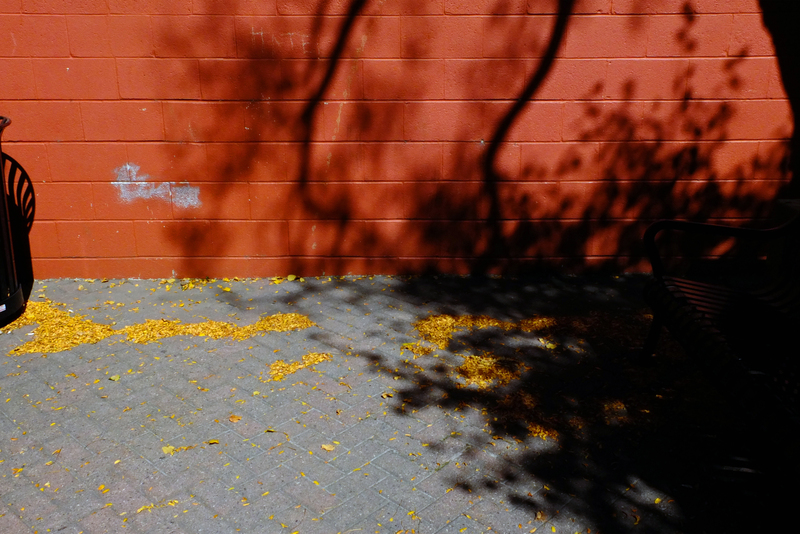 A tree in this small alley-turned-courtyard obstructed the sunlight falling directly on the burnt sienna wall, resulting in a dark, self-similar shape of that tree. We’re able to see that tree because light within a certain spectrum falls on it; we see its shadow because light is prevented from falling on the wall. A shadow is the only thing we see because of the absence of light. The term ‘shadow’ comes from Old English, the language spoken by Anglo-Saxons between the mid-5th century and the mid-12th century. It shares the same linguistic root as ‘shade’: sceadu, which referred to a place protected from glare and heat. ‘Shadow’ itself, however, comes from a somewhat later and more narrowly defined derivation of the term: sceadwian, which referred to the act of creating a small bit of shade (most beautifully defined by one etymologist as ‘to protect as with a covering wing’). Though shade and shadow are essentially the same phenomenon, we experience them as very different beasts. 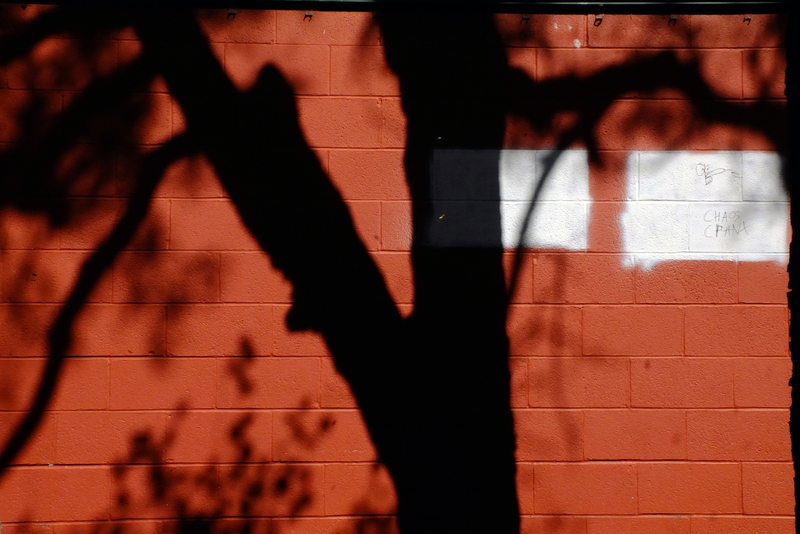 We tend to treat shade as a form of shelter; we generally see shadow as only the reverse projection of an object. And that’s a shame, because when you raise an awning to shelter you from the sun, you’re using a shadow to create shade. You are, in effect, mimicking a bird tucking its head under its wing. If you can’t see the delicate loveliness in that, there’s no hope for you at all, at all. I entered this alleyway/courtyard seeking shade. In it, I found a shadow. And I was content.